For the desert valley herbalist, mountain plants have a special sort of attraction. They not only provide the medicine we are seeking, but also put us in touch with the more lush and diverse ecosystems associated with the higher elevations. This is certainly true of our local Pedicularis centranthera. The genus Pedicularis was previously grouped with the Scrophulariaceae until its parasitic members were relocated to the Orobanchaceae family where it resides today. This genus contains some of my personal favorite plants. I love them not only for their medicinal properties but also due to their extraordinary and unique beauty. I also admire their way of integrating themselves so deeply into their communities through their hemiparasitic nature. Pedicularis and other root hemiparasites produce their own chlorophyll and can thus survive on their own, but may obtain additional resources through root connections to other host plants. These interactions vary depending upon the species of Pedicularis and the host plants, which commonly include asters, oaks, conifers, and grasses. The transfer of secondary resources such as water, minerals, and alkoloids from nearby plants is well-established and has larger implications for the ecosystem in which Pedicularis makes its home. Pedicularis clearly benefits from this relationship, but there is also evidence that this phenomenon has a wide reaching ripple effect. While this hemiparasitic relationship can negatively impact the growth of the host plant, it is also associated with greater plant diversity in the bioregion. Pedicularis may inhibit the growth of plants with a propensity to dominate the landscape such as Goldenrod while its pollen-rich flowers attract bees and hummingbirds to the area for increased pollination and reproduction of other important species. Pedicularis species are well known for their muscle relaxant properties that soften tension in the neck and shoulders. Due to their hemi-parasitic ways, they often take on additional healing characteristics by absorbing resources from these neighboring host plants. Through this deeply-rooted connection to their ecosystem, they may become more than they could ever be on their own. This can be a drawback in the case of plants with toxic compounds such as some Senecio species that often serve as host plants. 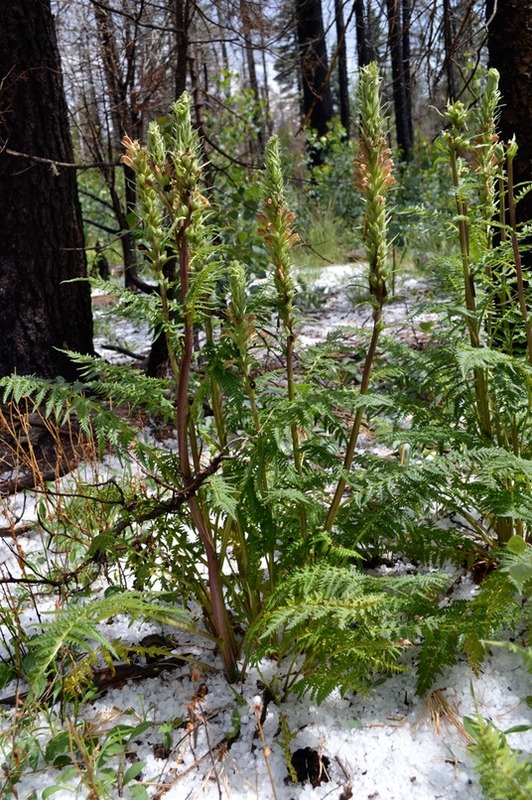 Finding Pedicularis among Aspen stands however, is like harvesting two herbs in one. The Aspen subtly shifts the energy and properties of the Pedicularis increasing its anti-inflammatory pain-relieving nature. This hemiparasitic trait is, however, what makes them truly wild medicine, resisting cultivation. Residing at lower and drier elevations P. centranthera is most common where I live and therefore one of my favorite herbal allies. There are also quite a few other species that I find in abundance when I venture into the ecozones to the north including P. groenlandica, P. racemosa, and P. procera. I prepare these plants as fresh herb tinctures, infused oils, salves, and smoke blends to help with injured or overworked muscles, encourage restful sleep, and to release tension residing deep within the body. There is also something more profound, almost magical, that these plants have to offer. One of the students in our program, forgetting the plant’s name, captured that sentiment when she referred to it as “that plant that sounds like a Harry Potter spell”. Tension within the musculoskeletal system is often an indicator of other unresolved issues within oneself. 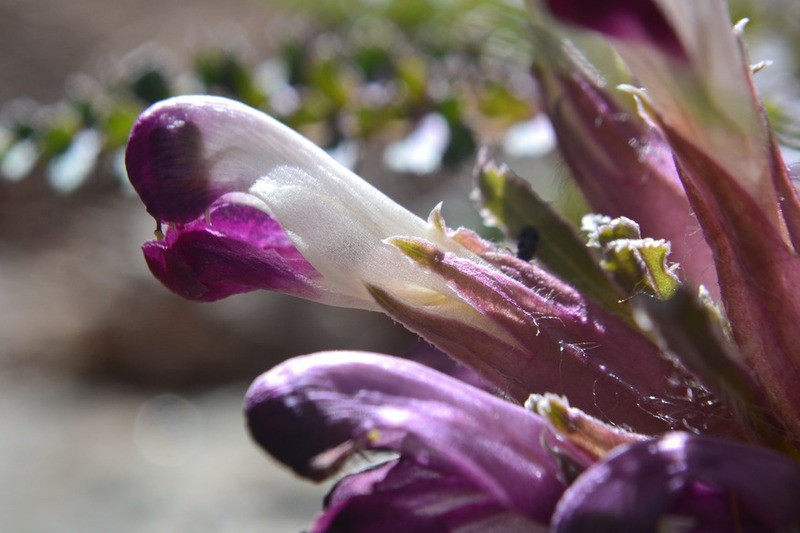 Pedicularis can sometimes act as a catalyst to encourage shifting within the wilderness of ourselves when we need to see things in a new light. Perhaps it is through its relaxant properties that we may be able to free ourselves from what is holding us stuck in place and by releasing our bodies we are able to pursue more personal introspection and self-discovery. Just as its parasitic roots spread underground, subtly shifting the energy of the forest ecosystem, it infiltrates the heart and implants trust and faith where fear, distrust, or other difficult emotions reside. Working with it as plant medicine provides more than relief from musculoskeletal aggravations; it also helps us to bridge the disparities in our own lives by connecting us with lost parts of ourselves. It summons from our own depths, the aspects of our being that we have ignored and helps us to be more complete individuals and more holistic practitioners. Pedicularis’ mesmerizing inflorescence heals both directly as absorbed by the body and also indirectly as absorbed by the heart. 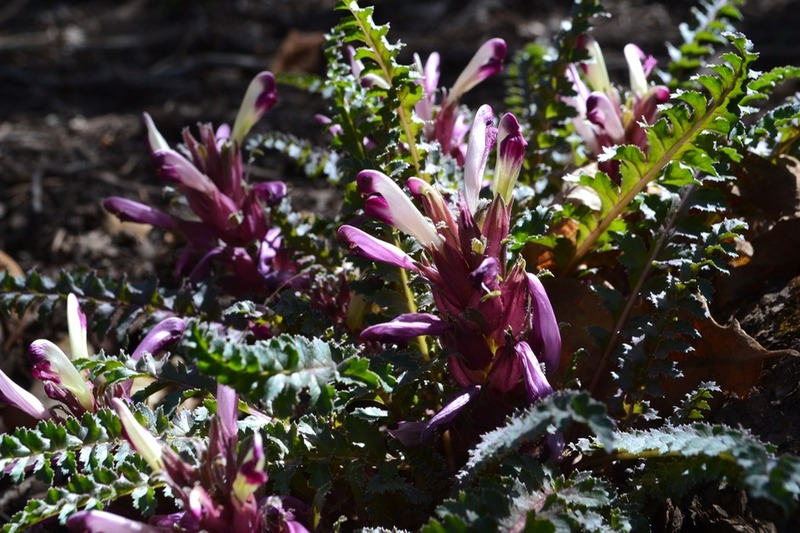 See my expanded post on this herb: Going Deeper with Pedicularis. This herbal short is derived from the original publication: Saville, Dara. (2014-2015). Medicine of the Mountains: Reflections of the Wild Beauty of Alpine Herbs, Pedicularis and Gentian. Plant Healer Quarterly, 5(1), 65-73. Ai-Rong Li, F. Andrew Smith , Sally E. Smith and Kai-Yun Guan, “Two sympatric root hemiparasiticPedicularis species differ in host dependency and selectivity under phosphorus limitation,” Functional Plant Biology 39 (9) (2012): 784-794. Marilyn J. Schneider and Frank R. Stermitz, “Uptake of host plant alkaloids by root parasitic Pedicularisspecies,” Phytochemistry 29 (6) (1990): 1811–1814. Andrew M. Hedberg, Victoria A. Borowicz, and Joseph E. Armstrong, “Interactions between a hemiparasitic plant, Pedicularis canadensis L. (Orobanchaceae), and members of a tallgrass prairie community,” The Journal of the Torrey Botanical Society 132(3): 401-410. 2005. This entry was posted in herbal medicine, herbalism, herbs, native plants, pedicularis and tagged betony, herbal medicine, pedicularis on April 30, 2015 by darasaville.